Riding on the back of a recent success at the BBC Radio 2 Folk Awards, Anais Mitchell gave her Midlands fans a reminder of her talents with this Birmingham gig slotted in at the tail end of this short UK tour. The Glee Club played host to Anais on the evening for a show promoted once again by Cosmic Americana Music and the near 200 turnout justified their decision to bring the gig to the West Midlands instead of their normal Nottingham base. Over the hour and a quarter she spent on stage, Anais breathed a vibrancy that allowed her enthusiasm for song and a distinctive voice to swarm your senses, drawing you into her mystique and slightly quirky world. For me the depth of song and original addictive vocal style are the primary attractions and why I found YOUNG MAN IN AMERICA a compelling listen when initially discovering Anais. This first opportunity to see her live confirmed the early impressions especially as she included some of the better tracks from that album in the set list. These included the title track, ‘Venus’ and my personal favourite ‘Coming Down’. Also from the record Anais sang ‘Shepherd’ and she shared her family experience of growing up with artistic parents in Vermont, USA by explaining how this song originated from a short story written by her father. A recurring theme of the evening was Anais constantly returning to her 2010 folk opera album HADESTOWN with songs both being planned and subject to spontaneous and invited audience requests. Of course Anais had to adapt the songs from their orchestral original version to one delivered solo with an acoustic guitar but with consummate ease, and the aid of the immense depth of the songs, she managed the transition effortlessly. Amongst the songs played, ‘How We Build The Wall’ and ‘Wedding Song’ were planned while ‘How Long’ and ‘Flowers’ tested her recalling skills to meet the audience requests. Not surprising, one of the best received songs on the evening was the award winning version of ‘Willie of Winsbury’ which saw Jefferson Hamer and Anais top the Best Traditional Song category at the recent folk awards in London. Elsewhere during the set, Anais stepped back in time to extract ‘Out of Pawn’ and ‘Old Fashioned Hat’ from 2007’s THE BRIGHTNESS and back three years further to re-visit HYMNS FOR THE EXILED recorded in 2004 and supplying ‘Cosmic American’ to the offerings this evening. Anais shared several entertaining stories with the audience including spending time on the road with her 9 month old daughter and indulging in a history lesson via Wikipedia with fellow artist Ned Roberts who was opening for her on this short tour. In fact Ned performed a highly accomplished set of contemporary folk to support the main event with, alongside several originals, an excellent cover of Dylan’s ‘Don’t Think Twice’. Anais Mitchell purveys a style of Americana music that can be best described as alt-folk and there is no doubt that the live version of her material hooks you in to the same high degree as listening to her records. 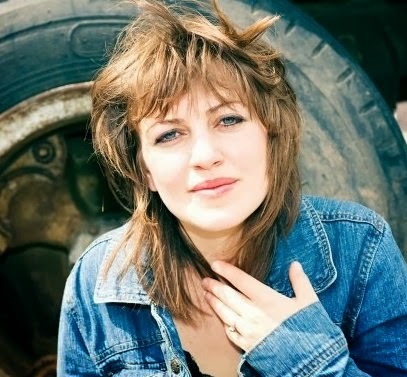 She may be getting well known now in UK folk circles but if you haven’t discovered the delights of Anais Mitchell yet, it’s definitely worth checking out her material and maybe hopefully in the future catch one of her shows when she next returns to the UK.